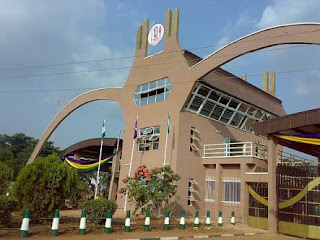 UNIBEN GIST: Female Student involved in an accident at main gate this evening!!! Female Student involved in an accident at main gate this evening!!! This evening at about 9:45pm a female student was involved in a motor accident. She was about crossing the main gate into the school environment. This info was originally reported to Uniben metro. We will bring you more updates soon.